I recently ventured into my local LUSH store to pick up a few items (OK maybe "haul" isn't the best description, but what else would I have said?!) and thought I would share them with you. I tend to get into my "Lush phase" every few months where I use certain Lush products. The products I picked up were: RUB RUB RUB Shower Scrub, OCEAN SALT Facial Scrub and TEA TREE WATER Toner Water. This is a really nice shower scrub although it isn't as coarse as I would've loved it to be. It contains mineral rich sea salt and organic lemon juice. 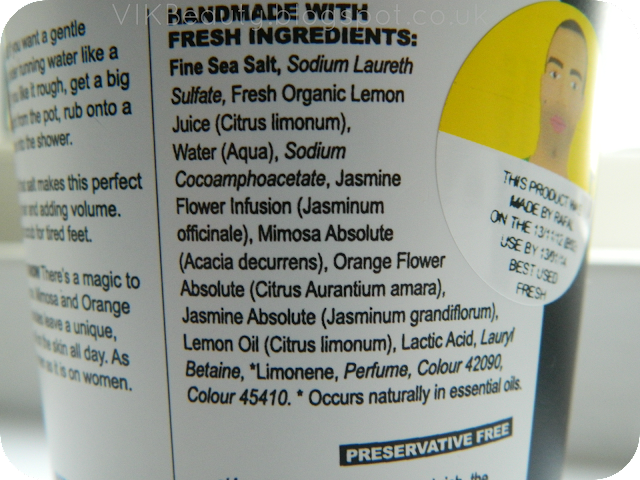 Lush describe the scent as; "Mimosa and orange flower absolutes leave a unique, subtle smell on the skin all day". 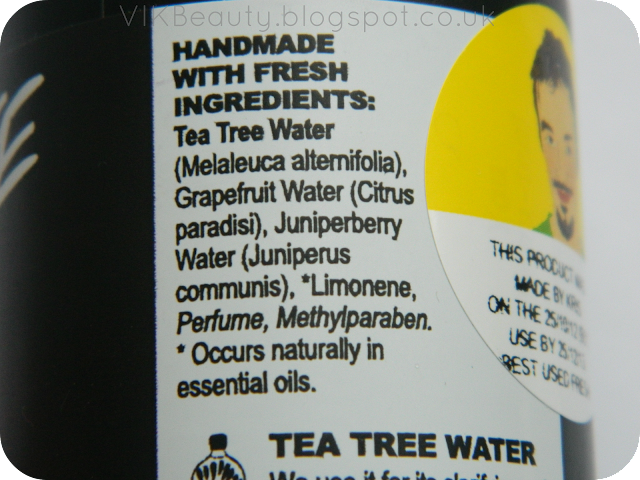 Funnily enough, I think it's scent is a mix of bubble gum and jasmine. 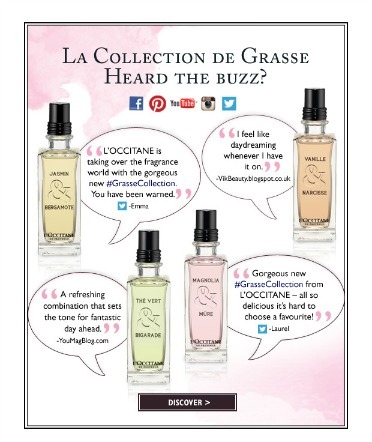 You definitely need to have a "whiff"... it's really fresh smelling and it does last all day on the skin. Once used, it left my skin feeling really soft and glossy. 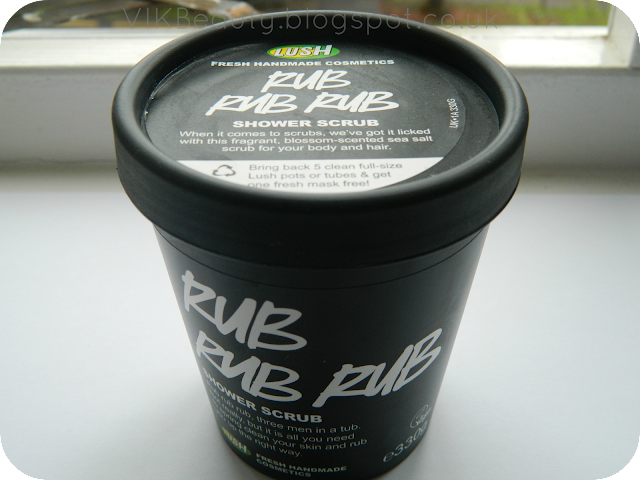 This scrub can also be used to wash your hair, but I just prefer to use it as a body scrub. This 330g tub retails at £7.95. It can be used as often as you want. I just use it a few times a week. As with the majority of Lush products, it has a shelf life of over a year. 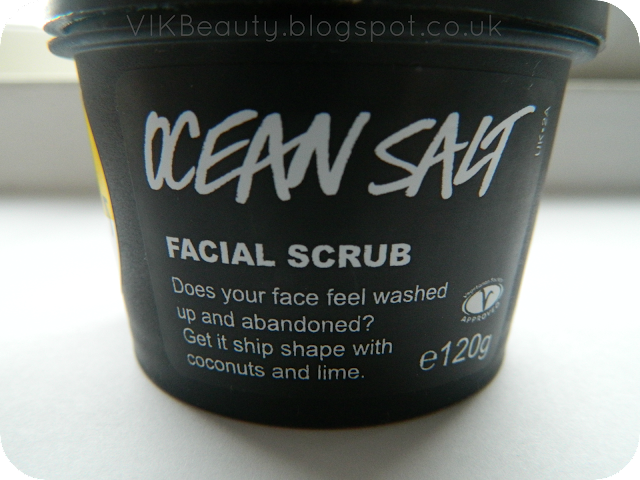 If you're looking for a deep invigorating facial scrub, then this product is one to be aware of. Some people may find it too harsh for their skin especially if your skin is delicate, but that's exactly what I like, the texture. Once used, I feel as though my skin has really been cleansed and all impurities removed. 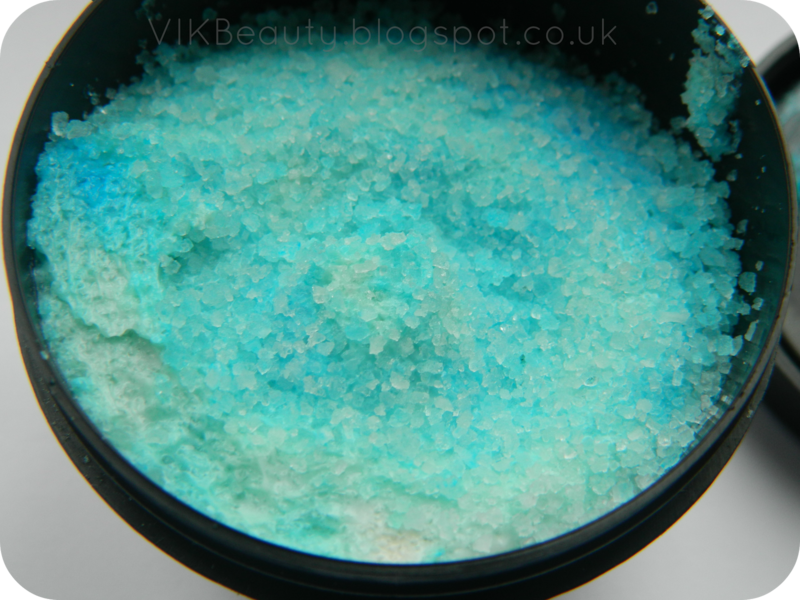 The coarse sea salt really works into the skin leaving it smooth and soft. The mixture contains lime, vodka, sea salt (did I hear someone say cocktail o'clock?! ), avocado butter and extra virgin coconut oil. It has a lovely fresh zingy scent to it. The downside to this product is that it does contain parabens. Parabens have been linked to cancer, although there is still ongoing research in this area. Brands use parabens as preservatives to lengthen the shelf life of the products. It is definitely worth noting if this is an area of concern for you. 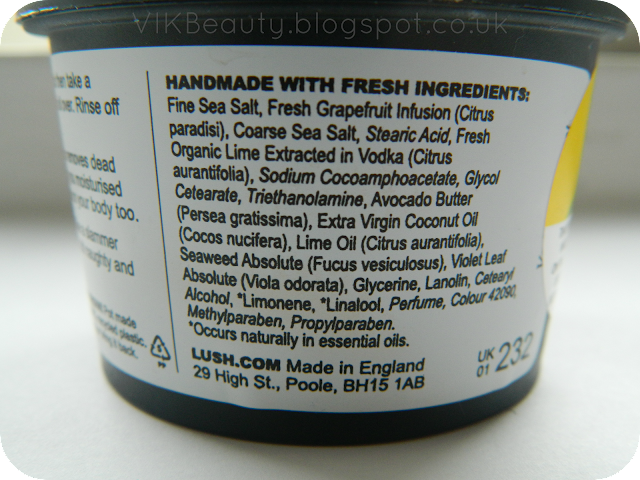 I wish Lush would reproduce this product without the use of parabens. This 120mg retails at £6.95 which I think is reasonable as you really don't need to use that much and it does last a while. I'm sure we have all heard about the benefits of tea tree oil in treating skin emergencies. I came across this toner some months ago when a friend had used it with good results. I thought I would pick one up and try it for myself. Now once again, the product does contain preservatives (parabens) but it has worked well for my skin. Once I cleanse my face, I spray the toner water across my face and wipe it off with a cotton pad. It feels really refreshed afterwards. 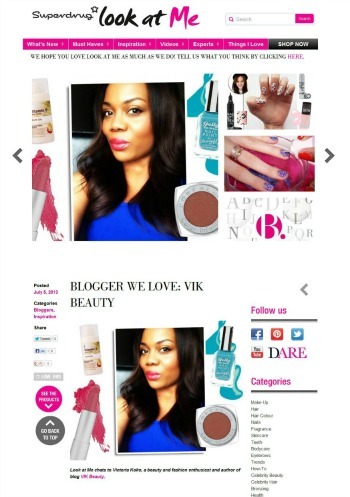 You do need to ensure that you do moisturise after using it as I find that it does dry out my skin a little. The toner can be used at any time of the day as a quick facial refresher or to cool the skin. However, I only use it once I have cleansed my face. 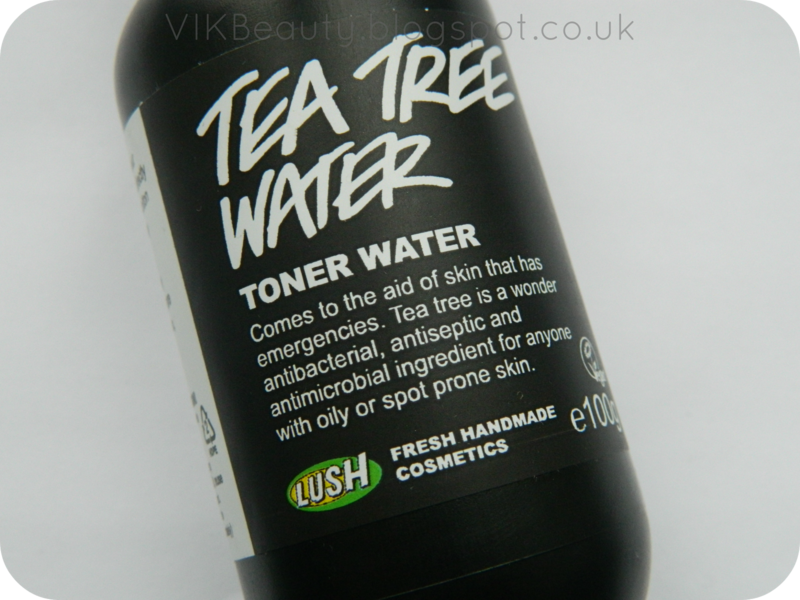 The Toner Water retails at £3.95 for 100g. Have you tried any of these products from LUSH? I recently got the rub rub rub and the smell is lovely! I ca't wait to give it a proper try. Haven't tried the other products, but I looove rub rub rub! It's definitely one of my favourite shower products. Love to use it in the morning, because it wakes you up on a nice way with the lovely smell. Usually they recommend citrus shower products to wale up, but I'm not a fan of the citrus smell!